have spent the last four months learning everything there is to know about trade tariffs in the U.S./ Chinese bike manufacturing industry. I did this because I was attempting to acquire funding for an import and distribution business, which has been a lifelong dream of mine since I was 10 years old. The tariffs implemented on bicycle-industry imports from China put this plan on hold for the moment. As of August 2018, all e-bikes from China now carry a 25-percent tariff. All bicycle components carry a 10-percent tariff now, but that will go up to 25 percent January 1, 2019. No investor in their right mind wants to give the U.S. government 25 percent off the top for essentially nothing. A tariff is a consumer tax put on imports by a government. The goal is to keep domestic manufacturing on an even playing field with cheaper imports. Throughout history they are typically strategically implemented on one product that is at distinct disadvantage. The revolutionary war was in part instigated by tariffs imposed by Britain on imports to the colonies. A distributor buys 180 bikes in a 40-foot container. They pay $750 for each bike. That adds up to $135,000. Then add another $3000 in shipping costs from China and customs clearance, so it is now $138,000. The distributor sells that bike to the dealer for $1000. That means $180,000 in gross profit ($42,000 net) on a 40-foot container. After overhead is covered for four weeks to sell those bikes, the bike manufacturing company might net $5000 to $10,000. The dealer then adds 30 to 40 percent, and that bike now costs the consumer $1666 at top margin. Now, let’s add a 25-percent tariff. That $138,000 container will now cost the distributor $183,000 after it lands in a U.S. port. Each bike costs the distributor $1000. He sells it to the distributor for $1333. Add 40 percent and you get a retail price of $2222. So, the tariff costs the consumer $556. I have heard people imply that the Chinese government pays the tariff. This is not true. Some people have suggested that the Chinese manufacturers might split the cost with American companies. I suppose you can ask, but they will say no. China sells products at around 5 to 10 percent above cost of manufacturing. They are reimbursed by the Chinese government through a VAT (Value-Added Tax) refund. This refund can be as much as 17 percent. Chinese manufacturers can’t afford to absorb any part of the tariff. Seventy-five percent of the Chinese government’s income comes from VAT, and I doubt they have any incentive to share any of that with U.S. companies, and I don’t know by what mechanism that would happen. American distributors are running on very thin margins and can’t afford to absorb any of the tariff. Americanbased manufacturers have a little margin to play with, and they could possibly absorb 10 percent or so for a few financial quarters, so they may be able increase the price a little slower, but it will have to increase prices anyway. 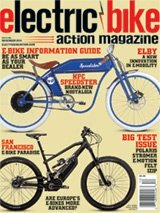 The only option is to manufacture e-bikes in Taiwan, Vietnam or India. Taiwan production is more expensive (not 25-percent more, but more expensive nonetheless), while Vietnam has a few factories (owned by the Chinese, mind you) but is not ready to make all of the world’s e-bikes. India is a viable option, but India’s quality is not where it needs to be to be competitive with Taiwan, China or Vietnam. All these moves take time, and any of these countries may be the next target for U.S. tariffs under the current administration. Free-trade zones are areas around the U.S. typically located near seaports or airports. A company can import dutyfree goods into a free-trade zone and pay the tariff when the product ships to customers. So, instead of paying $40,000 when the product lands in port, a U.S. manufacturer can pay $1000 when it ships four bikes to a local dealer. This helps cash flow. The real reason that free-trade zones were developed was to help bring assembly back to the U.S. The idea is this: let’s say that bike parts have a 10-percent tariff. 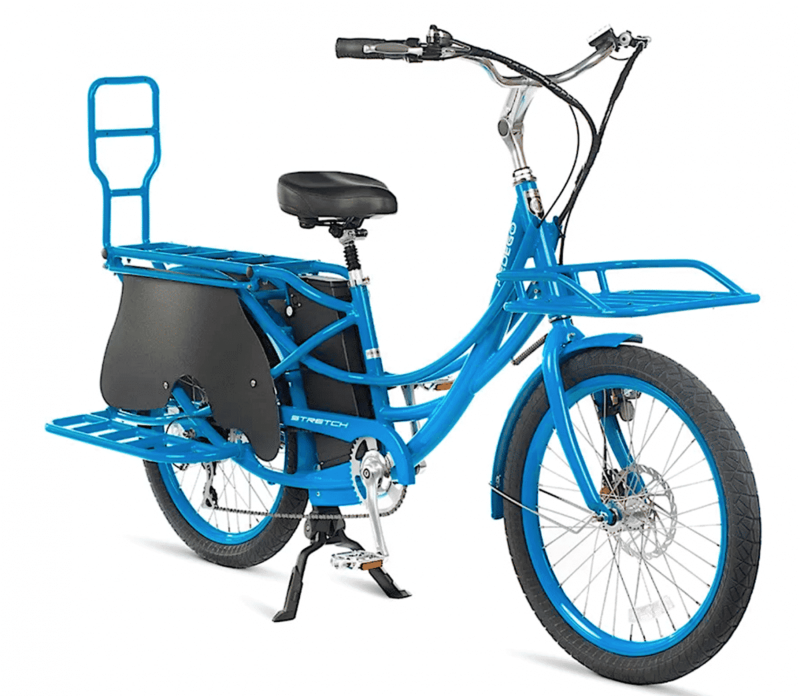 If the bike comes in as unassembled parts, then final assembly is done in the free-trade zone, then a manufacturer can opt to pay the lower tariff of 10 percent when the product ships complete. The current issue is that all bike parts carry the 25-percent tariff beginning January 1, 2019, so as of that date, there will be no lower rate to take advantage of. Originally, bicycle parts were going to have a 10-percent tariff, but the cost was raised to 25 percent across the board. This was a missed opportunity for sure.